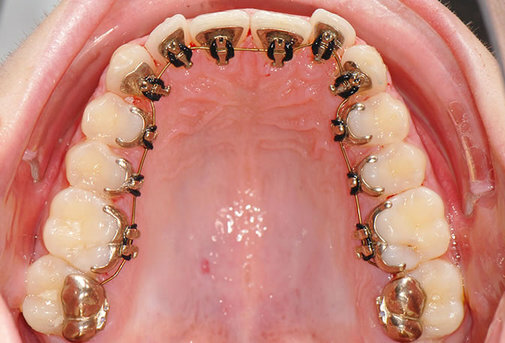 Incognito® Braces are hidden fixed braces placed on the inside (lingual side) of the teeth so they cannot be seen. The results of lingual braces are as good as other fixed braces so lingual braces can be used to treat quite severe cases. Each gold bracket and each wire are custom made for you in the lab in Germany. The treatment is designed especially for you so adjustments may take a little longer.